Have you ever been so absorbed by work, that has totally captured your attention, to realize that time has flown by? That’s how I feel about my first few months at Haltech. Meeting our clients, talking with partners and sponsors about their views on innovation and opportunities, and listening to input from the team has been informative, engaging and exciting. While there is more to learn and work to be done to build out the roadmap for the future, I am confident that the best tools to put to use in this effort are collaboration across the community, a deep understanding of what clients need to be successful and creatively using all available resources to drive bigger results. As just one example of collaboration, Haltech and TechPlace are teaming up for a road trip. The first ever Innovation in Action Tour kicks off on November 13th. Insights, networking, tours, and talks from leaders in our Region promise to get you out of the office, connecting with others, and thinking differently. Haltech is thrilled to welcome almost 50 new clients in the first half of the fiscal year, a considerable jump over the same period last year. When asked ‘why Haltech’, I hear answers that include referrals from others who have had a positive experience, the expertise of our advisors, and a network of knowledge. The take away for me is that we need to deliver more of that and celebrate client successes. We also need address feedback that clients want to understand key milestones on their entrepreneurial journey and how to make the best use of available support. Finally, nothing happens without enthusiasm and teamwork and I’m lucky to have an abundance of that around me every day. Just one more reason time is flying by – we’re having fun! Whenever an employee travels for business, it’s likely that cybersecurity is one of the last things they’re thinking about. However, cybersecurity is not only important in the home and office, but on the road as well. Business travellers are particularly vulnerable, as they often carry multiple devices (e.g., smartphones, laptops, and tablets) that all store sensitive data—both personal and company-related. 1. Install antivirus protection on all applicable devices. Keep this software up to date. 2. Lock devices down with a PIN, fingerprint or password. If available, employees should consider using two-factor authentication—a security strategy that is commonly used to add a layer of security to your online accounts by requiring multiple forms of password verification. 3. Be wary of public Wi-Fi, particularly if the network is unencrypted. These networks are highly susceptible to cyber attacks, making it easy for criminals to steal data. If employees must use local Wi-Fi, instruct them to avoid accessing personal accounts or sensitive data while connected. 4. Keep the operating systems on their devices updated. Older versions of operating systems and software often have unpatched security vulnerabilities. Performing a simple update can help keep information safe. 5. Avoid leaving their devices unattended. One of the easiest ways cybercriminals steal data is by having access to the physical devices themselves. a full day tour of Halton’s Innovative Tech Companies. 8:30 am – Innovate or Become Utility, Mark Majewski, Business Development Manager, OCE Adapting the Innovative Mindset, Tracey Kadish, Associate Dean, Business and Media Graduate Studies, Applied Research and Entrepreneurship at Mohawk College. 10:00 am – Arrive at Javelin Technologies and Cinema Suite. Cinema Suite will provide an immersive experience and talks on additive manufacturing best practices, 3D scanning and Augmented Reality. 3:00 pm – Arrive at iLLUMA-DRIVE. Tour the facilities, check out ILLUMA’s include energy storage product, NEO, IoT application Thea and ground-breaking CENSE low voltage DC system. Hear from Derek Hopkins and Robert Keane on how iLLUMA-DRIVE continues to revolutionize a 120-year-old industry using innovative technological practices using Digital Smart DC power and Energy Management. Cocktail reception and networking sponsored by Nickel Brook Brewing Co. Your business is gaining traction and you’re attracting investors; now it’s time for you to scale up. The big question is when and how can you fairly pay yourself while also attracting top talent. There’s a lot to consider. Building a strategic compensation plan will help you prioritize these factors, set your business up for success – and make sure you get paid. It’s important to note salaries (even your own) are operational costs and need to be part of your overall cashflow management approach. In the technology start-up world, your company’s competitive advantages often are ideas, innovation and skills – all of which are a direct result of having great talent. As a start-up, your challenge is balancing your operational costs, which as noted above, include salaries, with your business needs to achieve your strategic objectives and satisfy your investors. Knowing what a workforce will cost is just as important as obtaining estimates on supply costs. Technology entrepreneurs aren’t making widgets and don’t need to invest extensive capital to purchase inventory, machinery or physical assets to build a factory. Instead, they have to bring in the right talent to drive revenue and profit growth. They need intellectual capital: the right people with the right networks, creativity and innovation to drive growth and profits. The investment is now in human capital. We work with entrepreneurs from across a broad range of industries at all stages. We benchmark salary and benefits and help you design compensation systems that invest wisely – and fairly – in yourself and your hired talent. When you’re hitting your stride, we help with job design, performance management and building incentives. In a world where talent is your competitive advantage, let us help you optimize it. Here at Codify Zone, we make sure our students learn how to develop Games, control Robots and create beautiful Websites while using their computational and critical thinking. In our company we promote and teach open source software. We want our students to contribute, share and support each other in a world where access to knowledge and ability is open to everyone. We have designed custom curriculums for each of our programs. At Codify Zone students will have flexibility and control over every aspect of their Computational and Engineering learning. They will be using good open source platforms that will allow them to gain knowledge of things like electronics, programming, reason, logic, resourcefulness, imagination and innovation. We want our students to create their own games, projects and simulations, and then share them with other young programmers from around the world!! I know you’re headed back to school and dreading the idea of taking notes after a summer of playing Fortnite and other Gen Z things. Here at UnivJobs, we decided to curate a list of useful tools to make your first week of school way easier. Grammarly fixes all of your typos in your most import papers for professors and emails to recruiters. Helium floats a small browser (for Netflix) above your other windows, so you can watch shows on mute while taking notes in class. 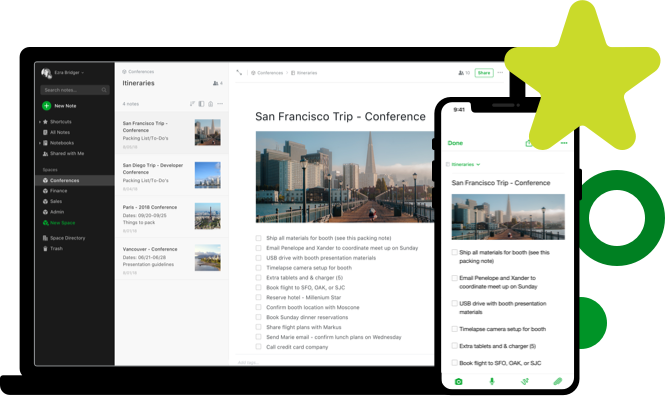 Evernote is the best note-taker and organizer out there. Public/private notebooks, to-do lists, tables, web clippings, attachments – it’s everything you need to crush that frustratingly boring required class. Paperspade lets you type your math homework. Your professor and the environment will thank you. Pocket lets you save for later. 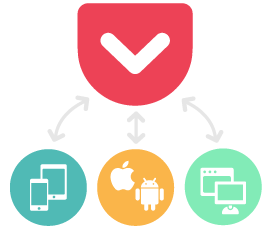 Put articles, videos or pretty much anything into Pocket. The way we work is changing, and alternawork is providing a new alternative for entrepreneurs and tech companies looking to lease office space. Over the last few years, there has been a sharp rise in the use of cowork spaces, or facilities that provide an office environment without the commitment of leasing a full office space. And there’s a good reason for this trend—coworking offers a number of benefits over traditional offices or working from home. alternawork’s brand new 6,000 SF Oakville co-work space is now open. The state-of-the-art office is conveniently located within minutes of Bronte GO station, allowing for easy access to the downtown core without the high costs of renting in the big city. The facility features 14 private offices, 12-14 dedicated workstations, and shared boardroom space to hold team meetings or host clients. Catering to the thriving tech community in the GTA, the office boasts enterprise-class infrastructure and reliable, high-speed internet to meet the network needs of growing tech companies. Membership comes with its perks, too: no matter which plan they choose, users will enjoy 24-hour access, shared kitchen and lounge space, free coffee, and free parking. Wondering whether coworking at alternawork is right for your business? Book a tour of the facility or check out alternawork.com for more information. Stay tuned for details on the next phase starting in the fall by signing up for the newsletter.